Fox Racing is a number one manufacturer of Raceswear and Off-Road gear Offering top quality t-shirts, tee, tanks and tops for women and men. Whilst Fox Racing offers its complete line of motocross pants, Body Armor, gloves, boots, and Apparels through independent motorcycle accessory dealers all over the world, the corporate also offers an entire line of raceswear, including shorts, T-shirts, fleece, hats, jeans, sweaters, sweatshirts and Body Armor to the general public through finer motocross, bike, and raceswear retailers all over the world. 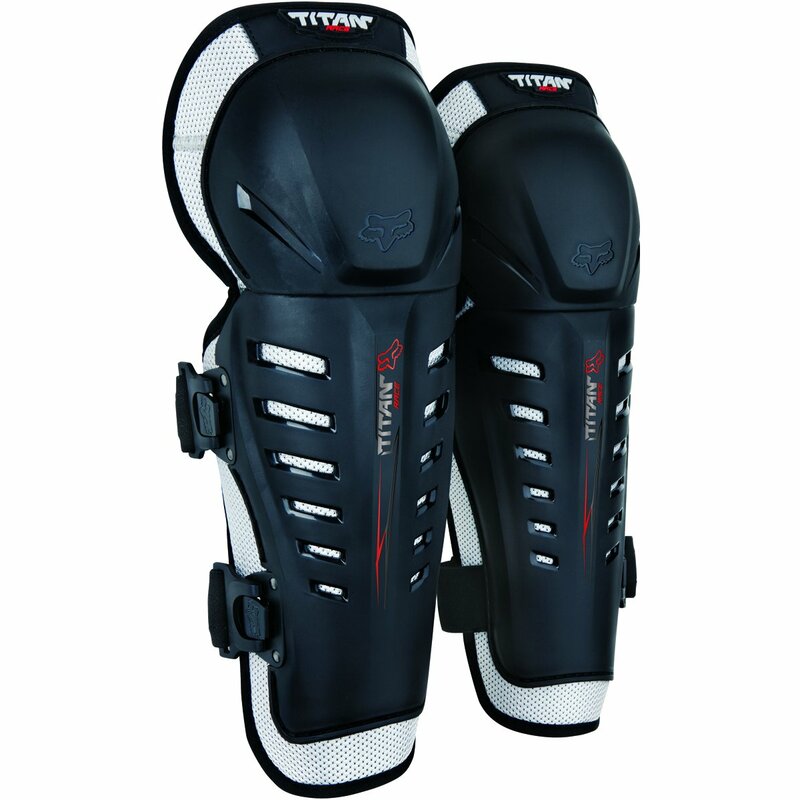 Offering zero restrictions and supreme comfort, the Titan Race Knee Guard is a should have from the Titan series. Now incorporating a Posi-Lock clip system, these guards bring you vented, leg-specific performance with full knee and shin coverage.